Romulo Caiado: our newest sponsored athlete, is a Black Belt under Master Ricardo Cavalcanti , is a fierce competitor (full bio coming soon). His recent super fight win over former UFC fighter Jesse Forbes, giving up 30lbs, has the rest of the division taking notice. Colleen is 16 yrs old and has been practicing and competing in BJJ since she was 7. She is a multi time NAGA , US Grappling, Good Fight, Junior Grappling champion. She was 1st place season points winner in the Junior Grappling associations 2011 season. Over the past couple years ( Competing in Teens and Womens divisions ) Colleen has played a major roll in helping Ribeiro Jiu-Jitsu East Coast take first place team points in NAGA, US Grappling, The Good Fight, and Junior Grappling. Colleen wishes to compete in Brazilian Jiu-Jitsu and Mixed Martial Arts at a world class level in the future. Colleen enjoys teaching kids at Bushido MMA ( Ribeiro Jiu-Jitsu) in Portsmouth Virginia. She also enjoys wrestling and volleyball in Middle School. She is currently an honor roll student at Independence Middle School in Va. Beach Va. I was born in Springfield, Ma where I graduated from Springfield Central High School. I was a standout football player and wrestler. I went on to play 3 years of collegiate football and was required to put on a lot of extra weight. Upon graduating college I was having issues with losing weight, which is when I found a local BJJ school in 2006. After 9 months of just BJJ I decided to move on to a new school and try my hand at MMA. I competed as a member of American Martial Arts Academy under Jason Franklin until meeting Gabriel “Gladiator” Santos when he started teaching BJJ classes at our school. I was so excited to get back in the gi and have been training with Gladiator ever since. While a white belt I mostly competed in local competition but it was when I received my blue belt that I begun to get the BJJ bug and started chasing higher levels of competition. My first big accomplishment was winning the 2012 IBJJF No-gi Pan American Championship in my weight division and in the open weight (absolute) division. This accomplishment also earned me a number ranking in the World in No-gi. Since earning my purple belt I have placed at every tournament I have entered and have won several titles including the AMMO title, Grapplers Quest Canadian and European National Championships, IBJJF Boston Open champion, and 2nd place at the IBJJF Master Worlds and Pan American (Gi) Championships. I have also been ranked #1 in the world for IBJJF Master 1 Ultra Purple. In October I was promoted to brown belt and my goal is to win a world title and work towards a #1 ranking. Off of the mats I am a husband and father of 5, 4 of my children also study BJJ. I am a middle school math teacher and am working on my PhD in Educational Psychology and am on track to graduate in Spring 2016. Eli Knight began his martial arts journey in an area of the US with limited resources to martial arts instruction. Eli spent the first couple of years as a teenager in Tae Kwon Do, achieving a brown belt, before finding a Japanese Jiu-Jitsu instructor, Jason Hawkins, who would change his life. Eli studied under Hawkins, acquiring his black belt in traditional Jiu-Jitsu, before learning about Brazilian Jiu-Jitsu, which was scarcely around at the time in the Midwest. In the early 1990s, after having watched the first Ultimate Fighting Championships take place, Eli and his training colleagues began travelling and attending Royce Gracie seminars throughout the US. Eventually, Three Rivers Martial Arts Academy as it would come to be known, became a Gracie Academy Association and later a Royce Gracie Network Affiliate School. Sixteen years later, Eli earned his black belt under Royce Gracie and has been training under Royce now for nearly 20 years. Eli is one of around 50 black belts under Royce in the entire world. Eli Knight is a full-time instructor at his home base academy of Three Rivers Martial Arts in Paducah, KY. When Eli isn’t traveling to teach seminars or compete occasionally, he is instructing every day of the week, group classes and private lessons, kids and adults. He is passionate about training and teaching, always hoping to change lives of others the way his was changed through his journey in Jiu-Jitsu. Eli has competed numerous times over his near 2 decades of Jiu-Jitsu training in events such as the Gracie Jiu-Jitsu Nationals, Bluegrass BJJ Open, SEMO Grappling Challenge, Jiu-Jitsu ProGear International & NAGA events. Most recently, Eli placed 2nd in the No Gi Men’s Master Advanced Class in NAGA. Eli devotes most of his time to training and teaching rather than competition, but loves the sport aspect of Jiu-Jitsu and believes that competition is a valuable tool in the refinement of a martial artist. The only thing more important to Eli than Jiu-Jitsu is his family. He has a wife, two stepsons, and a daughter who can tap him out with the bat of an eyelash. Lana Hunter began training Brazilian Jiu-Jitsu in July 2008. She received her blue belt from Joshua Lauber of Relson Gracie in June 2009, purple belt from Andre “Tim” Monteiro of Carlson Gracie/BJJ Revolution Team in December 2011, and brown belt from Bruno Alves of GFTeam in July 2014. Presently, she trains at Ohana Academy-GFTeam in San Antonio, TX. Lana’s past martial arts experience included a year of taekwondo and a few months krav maga before finding the beautiful art of Brazilian jiu-jitsu. Lana was not an athlete before training jiu-jitsu and jiu-jitsu has shown her how to use her body and mind in a way she never imagined, and it has brought feelings of empowerment, achievement, and mental toughness. Jiu-jitsu has been such a positive force in her life; she wants everyone to experience the power of jiu-jitsu, especially women. In order to make jiu-jitsu more accessible and welcoming to new women, she teaches a women’s jiu-jitsu class twice a month that is open to all women of the community and catered to beginners. She is also an active volunteer with Girls in Gis, an organization dedicated to bringing the female jiu-jitsu community together. She also enjoys competing in BJJ and has been actively competing ever since she was a white belt at local and national levels. Lana is also a brand ambassador for NeoCell supplements and Gi Soap. Lana earned a Bachelors of Music in Music Therapy and Doctorate in Clinical Psychology. She is a licensed psychologist and currently works with the geriatric population when away from the mats. Gillian Silver was a varsity-level athlete in both soccer and lacrosse in high school. She joined Brazen Martial Arts in December 2011 to get healthy and improve her overall fitness. Starting from 200 lbs, she decided to try a grappling tournament just 5 months later. Through hard work, discipline, and the support of the coaches at Brazen Martial Arts, she weighed in at 134.9 lbs and won her first gold medal. She has been actively training and competing since that time. Gillian is also a PhD candidate in the Microbiology and Molecular Genetics Department at Rutgers University pursuing research in the genetics of Schizophrenia. Bruno Amaral was born in Rio de Janeiro, Brazil where he began studying jiu-jitsu at the age of fifteen under Crezio Souza of the Carlson Gracie Team. Aside from being an avid jiu-jitsu practitioner, he also studied physical education and personal training from Estácio de Sá University. In 2009, Bruno moved to Boston, MA where he continued studying jiu-jitsu under João Amaral of the Brazilian Top Team. Bruno was awarded his black belt from Professor João Amaral soon after placing second at the World No-Gi Championships in the Brown Belt division in March 2010. In July 2013, Bruno received his first degree by professor Joao Amaral and Daniel Gazoni. During his time in Boston, Bruno has been teaching jiu-jitsu at a variety of schools and assisting students through group and private classes and enjoys competing and coaching his students in tournaments across the region. With just over fifteen years’ experience under his belt, today Bruno is the head instructor of Brazilian Top Team Boston, located in Everett, MA. Brown Belt in Judo, recreational practitioner. Brown Belt in Brazilian Jiu Jitsu. Instructor of women’s jiu Jitsu and fulltime student and pre-school teacher. We are proud to have Nathalia on the DFKC team. She is a life time martial artist with black belt in a traditional style of karate called Uechi-Ryu and a Brazilian Top Team Black Belt under Joao Amaral and Daniel Gazoni at BTT Boston in Everett, Massachusetts. Born and raised on the Pacific island of Guam, she began her jiu-jitsu training there at the age of 17. After less than 6 months of training, she moved to Texas for college and later graduated from the University of Texas. She began competing in Texas as a white belt starting in 2005. In 2006 Tessa began training Muay Thai, keeping focus on jiu-jitsu while balancing work and school life. In 2009 she transitioned into professional MMA with her first two fights at 115lbs., winning both early in the first round, and then losing her third fight at a higher catch weight. After taking a break to focus on finishing school and her professional career since her last fight in 2009, Tessa recently began competing again in 2012. She is looking to compete often and plans to compete at her first IBJJF tournament this year at the Worlds. She also plans to return to MMA later this year. Although not an active instructor, Tessa enjoys helping others with their training and on how to live a healthier lifestyle. She believes in leading by example and accomplishing goals through hard work and dedication. Tessa currently works full time as a web developer and owns Austin Kickboxing Academy with her fiancé Randy. She has also been working as a photographer since 2005, and has experience with graphic design, project management, marketing, and business development. Gurgel is originally from Fortaleza, Brazil, where he earned a black belt in Brazilian jiu-jitsu under Marcus Aurélio. Gurgel starred in the second season of The Ultimate Fighter television series and was eliminated from the show in the fifth episode due to a loss to Jason Von Flue via unanimous decision, but showed tremendous heart by fighting with a blown ACL. Gurgel’s match with Diego Saraiva at UFC 73 was designated as the “Fight of the Night” by the UFC. Gurgel has trained known fighters such as Rich Franklin, Justin Edwards, Zoila Frausto, Dustin Hazelett, Jason Butcher, and Sean Salmon. Jamie Colleen burst onto the woman's MMA scene in February of 2013. Born in Huntington, West Virginia on November 2, 1985 to parents Renee and Milton Miller, Jamie was a natural athlete from a young age. Participating in gymnastics, volleyball, and track and field, Jamie maintained a balanced regimen that would later become the foundation of her core strength and conditioning. As the youngest of 4 children in the Miller household, Jamie was born with the soul of a fighter. At the age of 19, Jamie was exposed to kickboxing as a new alternative to high school athletics and she instantly developed a deep connection to the sport. Jamie continued to network within the industry which led to her fascination with Mixed Martial Arts and the study of Jiu Jitsu where she later obtained a Blue Belt. Determined to progress her MMA career, Jamie Colleen relocated her family to Philadelphia, Pennsylvania, where she currently resides with her daughter Selena. Under the guidance of Dante Rivera, Bobby Johnson, Daniel Gracie, and Sideco Honor, Jamie trains in affiliation with Renzo Gracie Team Dante Rivera Ricardo Almeida BJJ. Jamie Colleen made her Mixed Martial Arts professional debut in the strawweight division at 115 lbs in 2013. According to Tapology Predictions, Jamie had a 74% advantage over her competitor Sumi Sakai in CFFC 19 which later proved to be accurate. With her first win on the books, Colleen defeated Sakai via TKO at 3:32 of Round 3. In 2015 Jamie was signed to King of the Cage, a Mixed Martial Arts promotion based in Southern California. Colleen's first scheduled title fight was on August 29, 2015 where she dethroned (6-1-0) Danielle Taylor to become the Strawweight Champion by way of KO in the 4th round. Jamie Colleen became an overnight sensation, demanding attention from veterans in the industry. On January 8, 2016, Jamie had to defend her title for the first time against (4-3-0) Callie Cutler. Once again Jamie prevailed and defeated Cutler by way of TKO in the 5th round. Tamdan “The Barn Cat” McCrory burst onto the MMA scene at just 19 years old, competing in venues across the Northeastern US. Known for his aggressive and tenacious style, “The Barn Cat” went 8-0 in his first year of competition, stopping all of his opponents before ever reaching the third round. At age 20, he was signed by the UFC© and won his debut against Pete Spratt at Ultimate Fight Night 10 in June of 2007 by triangle choke in the second round. In the summer of 2014, “The Barn Cat” signed with Bellator MMA and made a triumphant return to the cage with a stunning 21 second knockout over Season 9 Tournament winner and Middleweight title challenger Brennan Ward. On February 27th, he stunned the crowd again and made it 2-0 in the Bellator cage by submitting BJJ Black Belt Jason Butcher by arm bar in 66 seconds. McCrory is also a certified Muay Thai instructor under both Ajarn Chai Sirisute of the Thai Boxing Association of America, and Kevin Seaman of Smiling Tiger Muay Thai. He also holds rank as a JKD instructor under Kevin Seaman. When not battling in the cage, he spends his time teaching and developing students of all ages at B.C. Martial Arts Academy, located in Binghamton, NY. Ben’s fascination for Jiu-Jitsu, like most others in his generation, began when he first watched Royce Gracie in the first Ultimate Fighting Championships. After graduating college in 1997 he officially began his Brazilian Jiu-Jitsu journey and even had the chance to once train with Royce in 1999. Ben even had the privilege of consistently training with UFC Hall of Famer Dan “The Beast” Severn as they only lived 45 minutes apart. Ben’s fascination and relentless passion for learning lead to meeting and establishing a longtime friendship and mentorship with Saulo and Xande Ribeiro. This relationship led Ben becoming a Ribeiro Jiu-Jitsu Association instructor in 2006. On 10/10/2009 Ben had the honor of becoming the 6th American to be promoted to the rank of Black Belt by Saulo Ribeiro. Currently Ben lives in Virginia with his beautiful wife and business partner, Heidi and runs the Jiu-Jitsu Institute, Ribeiro Jiu-Jitsu Association- Yorktown, VA.
Andrea continued to pursue her passion which ultimately led her to Seattle, Washington where she has been training at Elite Brazilian Jiu Jitsu of Bothell / Azo JJ for the past 3 years and currently serves as the Head instructor for the school. Supplementing her passion for Jiu Jitsu, Andrea is pursuing a career in personal training and hopes to inspire more people to improve there lives through fitness! Paulo Ribeiro was born in Sao Paulo, Brazil. At age 11, I moved to Maceio, Alagoas, Brazil, where at 16 years old I found my life's passion of brazilian jiu jitsu. 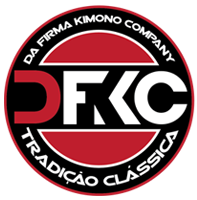 He trained under the tutelage of Diojone Farias who is currently a fifth degree black belt. At 27, he came to the U.S. to train and compete. Paulo decided to stay and teach in Little Rock, Arkansas, which is where he met my wife, Natalie. Not long after, they moved to her hometown of Naples, Florida and start their school and family, Paulo Ribeiro Brazilian Jitsu, . Paulo’s drive to be the best he can be; training, teaching and competing in Jiu Jitsu is how he continues to improve everyday. He takes every day as a challenge to improve in every aspect of his life as person, husband, father, competitor, and instructor.